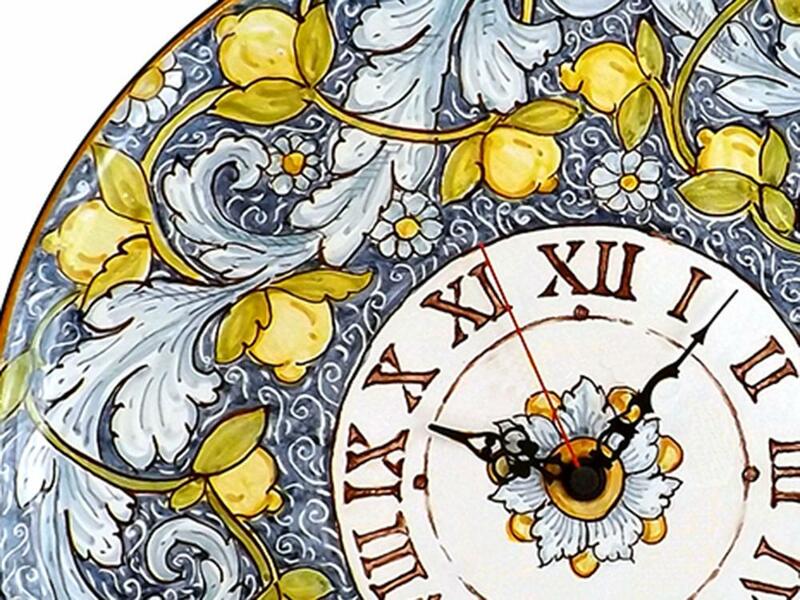 This large, stunning wall clock is completely hand made on the island of Sicily, following all the traditional methods that have been in place for centuries. 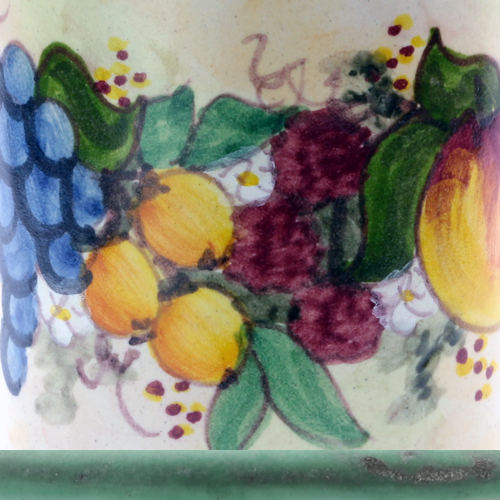 It is a maiolica ceramic plate which has first been made by hand and then painted by hand, with the mechanics of the clock mounted in the centre. 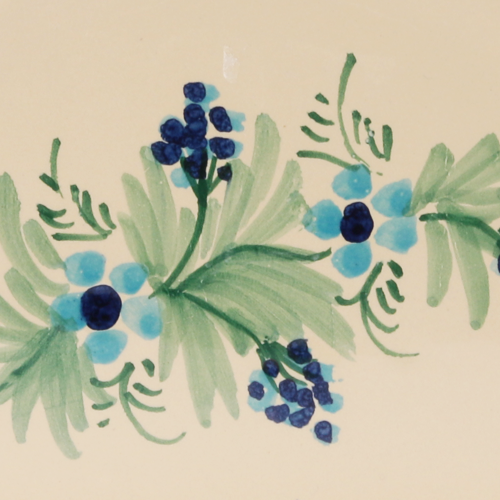 The plate is decorated with tiny lemons, large blue leaves and small blue flowers on a blue patterned background. and southern Italian, sun-ripened pomegranates bursting through their skin. 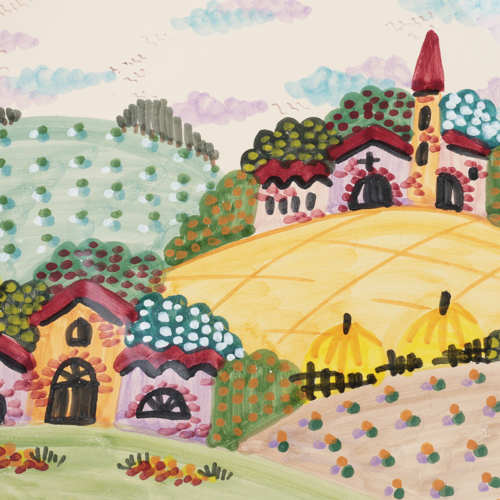 This is a traditional style of painting and the patterns and colours synomymous with the warmth and history of Sicily. This item is made to order and takes a minimum of three weeks. 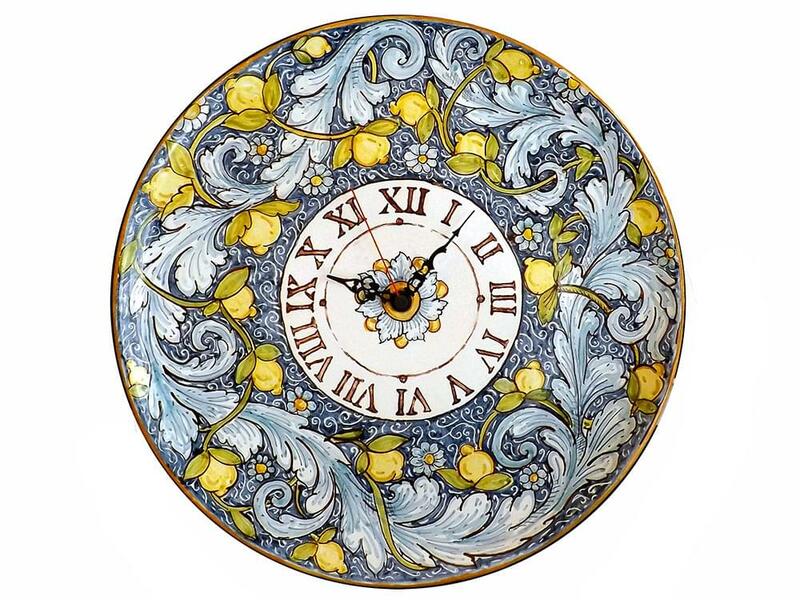 As this decorative plate wall clock is made by hand from beginning to end, each one will vary slightly, but, each will be totally unique.